Feline Asthma affects approximately 1-5% of the approximate 80 million pet cats in the United States, making it the most commonly diagnosed respiratory disease. It usually affects cats between 2-5 years of age, and some breeds (Siamese and Himalayan) seem to be inflicted with the condition more often. There is not one test that will determine if your cat is suffering from asthma, but your vet will most likely use a combination of medical history, x-rays and other diagnostic tests (mainly to rule out other health conditions) to make a diagnosis. An asthma attack is when the passageways in the lungs become inflamed, constricting the airflow, making it very hard for your cat to breathe. An asthma attack can quickly become a serious incident, and you should seek medical attention immediately if your pet is having respiratory distress. For owners, wheezing and coughing in cats with asthma can become a daily occurrence which can be very distressing for you and your kitty. Unfortunately, there is no cure for Feline Asthma, but the condition can often be managed very effectively using conventional and holistic veterinary care. Researchers believe that asthma is a result of exposure to an allergen that triggers the inflammatory response, and the response will be more progressive with each exposure to the allergen. Therefore, the first step is to try to avoid the potential allergen causing the attacks. Common allergens may include pollen, grass, mold, dust from cat litter, smoke, and some foods. Standard veterinary treatment usually includes the use of corticosteroid drugs and a bronchodilator to reduce inflammation and open up the passages, making it easier for your cat to breathe. However, long-term use of these drugs may cause other health problems, such as pancreatitis and diabetes, and the risk vs. benefit should be discussed with your veterinarian. 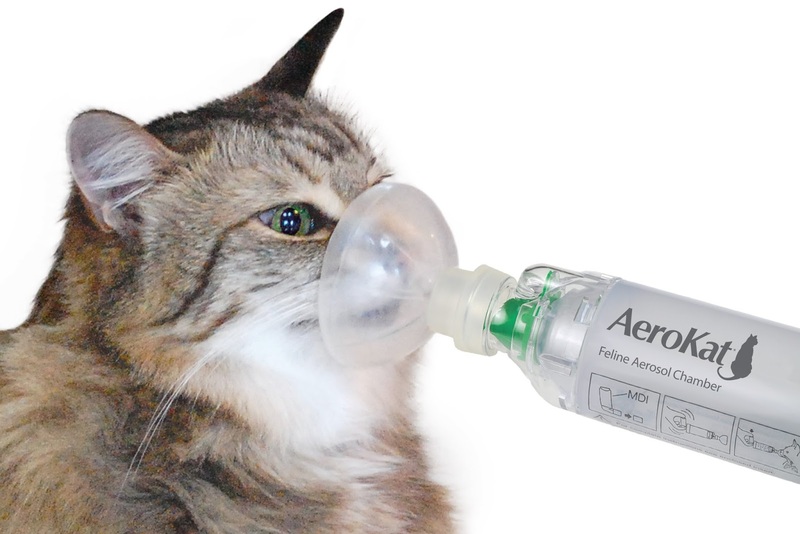 Many pet owners have found using a holistic approach with a natural feline asthma treatment can reduce the need for corticosteroids and bronchodilators. Feeding a hypoallergenic, anti-inflammatory diet along with a few holistic supplements can be life changing for cats with asthma. This is because this natural approach will help reduce exposure to allergens and reduce inflammation. 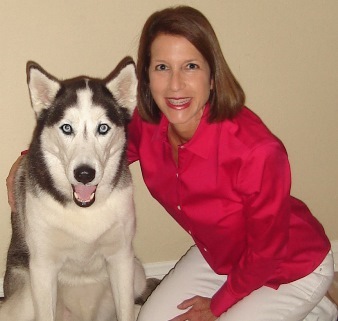 By reducing inflammation, you’re able to strengthen the pet’s immune system and reduce the allergic response to allergens. This can be just the key to reducing the frequency and intensity of the attacks. Click here for natural remedies for cat asthma. 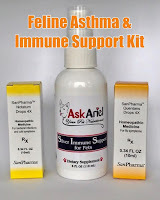 FFeline Asthma Kit- Trio of three liquid immune support formulas that provide gentle, natural support for cats with asthma. Can be used in combination with asthma medication. Clears up sinuses, nasal tract and improves breathing. NotaSAN- Anti-inflammatory, anti-infection formula. These homeopathic drops are especially helpful for relieving allergy symptoms. NotaSAN works well with QuentaSAN to relieve nasal and sinus discharge, upper respiratory infections, coughing and infection. QuentSAN- Powerful anti-viral, anti-infection formula. These homeopathic drops are the first line of defense with any upper respiratory or sinus condition as the supplement targets the lungs. Works best when used along with Notatum drops. Power Probiotic- the best probiotic for pets, no fillers, pure, natural and most cats love the taste!. Power Probiotic has been third-party tested and guaranteed to contain the amounts of friendly bacteria indicated on the label. Special note: If you include your cat's diet on your order form, AskAriel will send a diet suggestion on the packing slip that comes with your order.